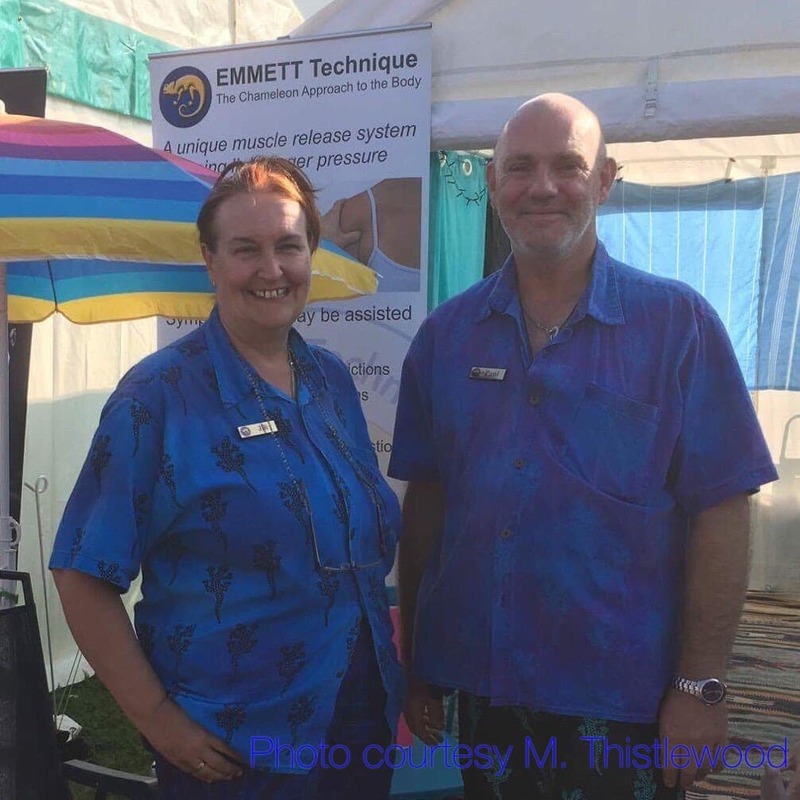 Paul Dagless is a qualified EMMETT Technique Practitioner and Bowen Therapist ( in Ross Emmett’s Tom Bowen Therapy). You will usually find both Paul & Jill offering Bow-EMM Therapy and EMMETT Technique at events and shows. Paul has always had an interest in helping others and has found EMMETT Technique to be highly effective for his clients, he particularly enjoys his training with Ross Emmett, who is an inspiration to him. Paul has been acting as my personal therapist since 2008 and, although you may think I’m biased, I highly recommend him, after all he was looking after me as a therapist for years before he was formally qualified. When we moved away from my previous Bowen Therapist I was worried because that was the only thing keeping me pain-free, but after some 1-2-1 training from the lovely Anne when I was working in Scotland, Paul took over the role and has kept me going ever since. Over the last several years I have witnessed him gain confidence and skills, which have added to his natural abilities, that have helped so many people already including keeping me able to offer therapy and tutoring, so in all honesty I can highly recommend him without reservation.